A ram air turbine (RAT) is a small windmill-like device that produces adequate amount of hydraulic pressure and/or electrical power during emergency situations. 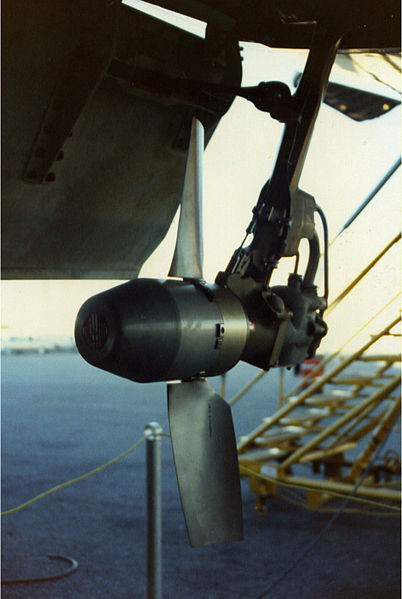 It is a self contained turbine or propeller unit connected, with a hydraulic pump and/or to electrical generator. All Airbus airplanes and Boeing's newer model airplanes use ram air turbine. Use of Ram Air Turbines have saved lots of lives.